I've been reading Mr.Vance's books (with much gusto) since the 60s. When I moved onto my sailboat last year, almost 20 of his novels made the trip with me and still sit proudly (and dogeared from many readings) in my boat's nooks and crannies. I hope to find and read them all before I join him to discuss things. Enormous praise and thanks aren't enough-- but all that I have to give. Godspeed Mr. Vance and thank you for all the adventures I lived through your stories. It was a hell of a trip! Thank you for letting me visit your worlds. You were a most excellent creator! Just read Tschai for the 6th times, and before that The Book Of Dreams for the 2nd time. I am convinced that I will read all of Jack Vances stories again and again till I pass away myself. Vance was a great author who has enriched my life. Rest in peace, mr. Vance. So long and thanks for the journeys through all those worlds. May you discover exciting new ones ! Rest in peace, Mr. Vance. You are, and more than likely will remain, my favorite author of fiction. There isn't even a close second. Thanks for all the great adventures! Jack Vance made me want to write as well, as wittily and as evocatively as he did. Forty years later, I still hope that some day I will. I was so sad to hear of Jack's passing today...and yet it's a long and happy life we are celebrating. I was very lucky to have been able to visit and spend time with Jack, listening to his stories, chatting about music and books with him, and it's an experience I'll always treasure. Our thoughts are with John and family; your care of Jack was extraordinary, and it was also a pleasure to know you as well. A toast to a great man with a great imagination. He illuminated my troubled days with the sense of wonder. The stories will last for ever. Jack Vance was one of the first unique voices I was able to recognize as a kid reading sf. I sent him a copy of my first book when it came out back in 1984 and he replied with a kind and encouraging letter, very much at odds with the curmudgeonly persona he sometimes cultivated. I still reread To Live Forever and The Demon Princes novels every few years. Farewell, my dear dear friend. We were closer in these past few years than ever before. Now at least you'll know the answer to the question we discussed on the phone a few weeks back. Travel well. i simply wouldn't have been the same if i had not read Jack's books. the story telling, the universes he was describing were fantastic, in all sense of the words. i illustrated some of the covers for his books for the french market a decade ago. a great honor. sparth. Without a doubt you were my favorite author. I was enchanted by his stories as a teenager and have been re-reading them for the past thirty years. I am sorry to hear of his passing, he was a unique and talented author. His memory will live on in his works. No one could write like Jack Vance, his imagination combined with his exquisitely skilled use of language were an unmatchable combination. I simply cannot overstate how much your writing meant to me. Overflowing with verve, wit, fun and colour. And with peculiar horror, too. Brilliant. Jack will always be my favourite author. Deepest condolences to family and friends. Gracias por todos los buenos momentos Jack, que triste noticia. Un abrazo. I raise a glass to Jack Vance. His inspiration of the spell casting system used in D&D has been part of my life for the last thirty-five years! I got into Jack Vance late in my life and I regret not having done so sooner. the Dying Earth is one of the most beautiful pieces of literature (never mind the genres of Science Fiction and Fantasy) I have ever read. I only just heard of his passing and my thoughts go out to his friends, family, and the countless people touched by his work. Rest in Peace. Good bye, Jack! It was such a pleasure to have met you! Your stories are brilliant and the world is forever better for you having been here. R.I.P. Jack Vance, one of the most talented writers and creative minds to ever put words on paper (or into a word processor)... The world is richer for having had him around, and poorer for the loss of his passing. Thanks for introducing me to many worlds, to human diversity, to selective breeding, to boundless revenge, to the mysteries of languages, to fruitless crusades, to the otherness of aliens, to Smade's, to stranges colors, smells and tastes. Thankyou and Farewell! The first book of Mr. Vance's that I read was THE DYING EARTH. I read as many of his books as I could my hands on. He will be sorely missed! Our most powerful inventor of worlds, a master who could mix P. G. Wodehouse with the pits of Hell. What is there to say? Jack opened up so many worlds, so many personalities, and did it in language so colorful, playful and creative -- he did what he was meant to do in this world. 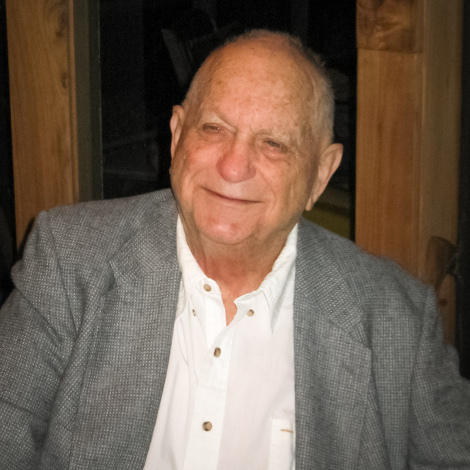 RIP Jack Vance, without a doubt your vision will live on in many people and through many generations. "Death is the heritage of life; a man's vitality is like air in a bladder. Point this bubble and away, away, away, flees life, like the color of fading dream." I really enjoyed every novel written by Vance, but the Dying Earth will always have a special place deep in my heart. So long, Jack, thanks for all these beautiful dreams you gave me. I hope that both readers and critics will always bestow all the honours you deserve, even in the far future. Unforgettable. One of the prime writers who introduced me to worlds without number and beyond wonder. You will be sorely missed. I loved Jack's space operas as a kid. Very formative literature for me. He was a master of his craft. Sad news to hear, Jack has long been my favorite writer and what a legacy he has left behind him. Warm thoughts to his friends and family. "cups of fluff and iridescent fluff, puddles of colour and wafts of light-shot gauze"
The most elegant, sinuous, beautiful prose in genre fiction, possibly all fiction. The writer who has given me the most enduring personal pleasure over the last 25 years. A nonpareil. I will raise a glass, of the finest single malt that I can afford, to the best times shared between a writer and a reader. Bye old pal. Space and fantasy won't be as fun as they used to be with you. The wonderful places of the dying earth can now slowly and peacefully die under a dying sun, while, we, little Cugels of no significance are still bickering under your magnificent shadow. Les romans de Jack Vance m'ont longtemps émerveillé : rêves de voyages exotiques et lointains, aventures épiques bien menées. Thanks for all the beautiful words and worlds, Mr Vance. Here's to your zestful wit, wistfulness, intricacy, colour, cleverness and incredible imagination. To your unique way of gently highlighting the ridiculous in human behaviour, and also the pathos in it. And to all the ideas which are as fresh now as they were when they were first written. At my first publishing job, Jack was the fourth author I signed; a couple of years later, he was an unforgettable and wonderful guest of honor at the 1976 Scandinavian SF Convention in Stockholm, which I co-chaired. After that, we stayed in touch for years; I've slept in his son's water bed, sailed with him in San Francisco Bay, and, coming from a small country where a trip of fifty miles is considered travelling, will never forget the time he packed me and the friends I was touring the States with into his car in San Francisco to buy us a truly great lunch. He drove us over 120 miles to Big Sur, where we had hamburgers. It really was great. As was his friendliness, late-night banjo playing, his humor, his stories and his writing. To me he was, and remains, one of the very few indispensable science fiction authors, and one of the even fewer I believe will continue to be read and cherished. Vale Jack, Paramount Grand Master of Science fiction/fantasy. You've been part of my life since I discovered Star King in 1967 at the local library. My world of imagination exploded and my love of the literary turn of phrase and rich storytelling was magnified. There's a little bar on Alphanor I'm sure you'll frequent. Eventually I'll meet you there for some jazz, drinks and stories. Good bye and thank you for the wonderful histories you weaved for us. So long and thank you for everything. We can't even begin to say how much we will miss you! Rest in piece! I was leaving Hawai'i after a semester abroad, and I only had money for one book at the airport, before embarking on a 36 hour trip back home. Began reading about Turjan of Miir, but instead of plowing through the book and moving on, I stopped repeatedly throughout to process the magic I hadn't experienced anything like before. There will never be another Jack Vance. His books have brought me more delight than anyone with the exception of Mark Twain. Farewell, master of the twilight hours. we still read you. best regards. death is only a dream, you'll be reading for a long time. One of our great writers in SF and Fantasy. For me, "The Dragon Riders" gripped me by the throat as a young man and it NEVER let me go. Thank you for introducing me to your wonderful worlds filled with amazing and unique characters. Though some of your worlds were really bizarre and sometimes scary, as a boy I secretly wished I lived in one of them just so I could meet its strange inhabitants and taste its delicious food. Your stories are a joy and an inspiration and I will revisit them often. A thrice toast to Mr. Vance! For bringing a little light and cunning humour to these Sandestin-forsaken realms. Every word you wrote was golden, and every book a keeper, and there was music and wine and color in every page. You've left us a rich legacy, and we'll keep it polished and shining for the ages. I've been enjoying his delightful stories for many years now, and my appreciation of them has grown. There are still some I've never read. I'll treasure them more when I do. Then reread. Thanks for the ride, Master. It has been a rollercoaster, but a great one. I will never forget the visits I had with Jack and his family. He was a gracious host, curious about his guests, conversant on just about any topic that came up, and humble about his amazing work. He was truly a legend, and he will inspire readers and authors long into the future. Thanks for living such a long and productive life, Jack! and thanks for your stories. I dont remember what wast the first book from Vance that i read, but i have read multiple time many of them. Thanks for sharing your wonderful worlds. The work of Jack Vance has meant a great deal to me. It helped to form me as a writer. I have always had books by Jack Vance in my permanent library and will continue to own them. His work will live on. Of that, I have no doubt. Gracias, Maestro, por haber enriquecido mi vida. Well done, sir! Your stories quickly found their way into my dreams. I only wish I had started reading your work earlier. Thank you for making my life richer. Some 40 years ago I read Tschai. Since then all of your books I have been reading and I'm still reading, it never stops. I read and read again. Great works of art. It will last. Thank you.